We are a leading service provider for the Laser Cutting. We are an unparalleled name in offering Laser Cutting service. The laser cutting service provided by us offer you smooth to rough, vertical planes of cut, give you a best cutting. 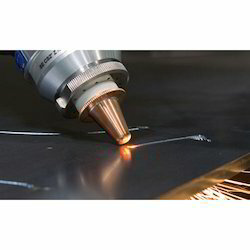 As we are known for our reliable cutting service because we use advance techniques of cutting like laser which is one of the most innovative technique in the market for cutting. We introduce ourselves as an eminent organization for offering exceptional service of Straight Cutting Laser. Depending upon the thickness, cut quality and cutting speed we offer you a cutting service which is carried out by skilled professionals. Our cutting service is well known in the market due to its economic nature & smooth execution. Customers can avail this cutting service from us as per their need at their budgetary constraints. Messer developed FiberBlade IV is the fourth generation of fiber laser cutting machine, equipped with an automatic pallet, up to 1G acceleration and 140000mm / min speed linkage enables efficient cutting and fine arts to become a reality. The Machine idea of the FiberBlade depends on the attempted and tried level bed fiber laser cutting machine with a removable palette table and a 2 hub cutting gantry. The fiber link of the laser resonator is just conveyed in the drag chain. The beds are traded completely consequently in a bus table. Unlike traditional laser cutting laser beam specular transmission systems, using the latest fiber optic transmission technology, the entire transfer process is almost no energy loss. 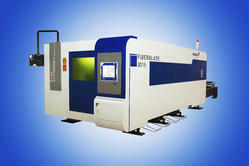 · Cutting system with fiber laser. · Laser class1 because of housing. · Magnetic holder to protect the cutting head. · Multiple cameras for monitoring the machine and process on screen. 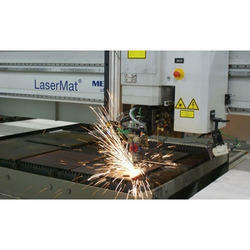 Looking for Laser Cutting ?